Lazy Saturday and Sunday mornings are a weekly highlight for many – and what better way to slow down life’s hectic pace than with a delicious weekend breakfast? Today we’re sharing three of our favourite recipes to whip up at the weekend and enjoy for breakfast or brunch. 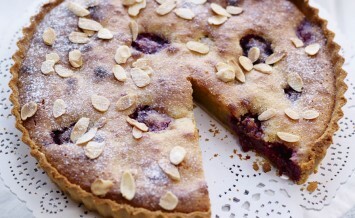 Warming, healthy, satisfying and easy – what more could you ask for from breakfast? 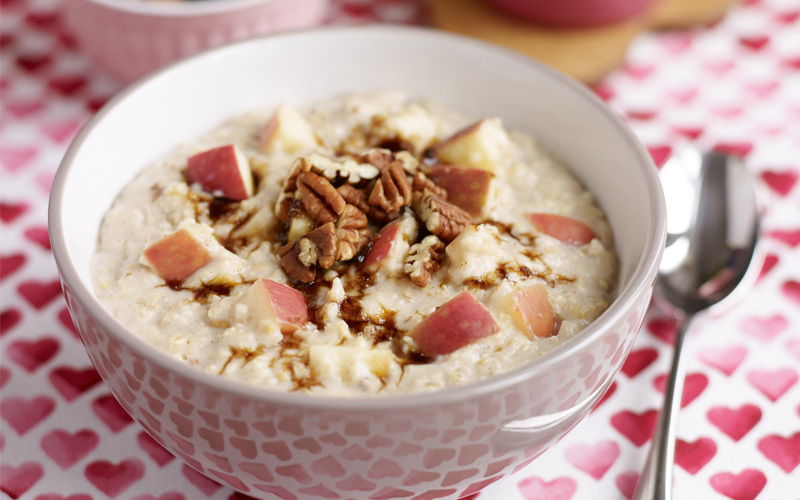 Upgrade your weekday porridge for the weekend with Pink Lady apples, cinnamon and pecan. 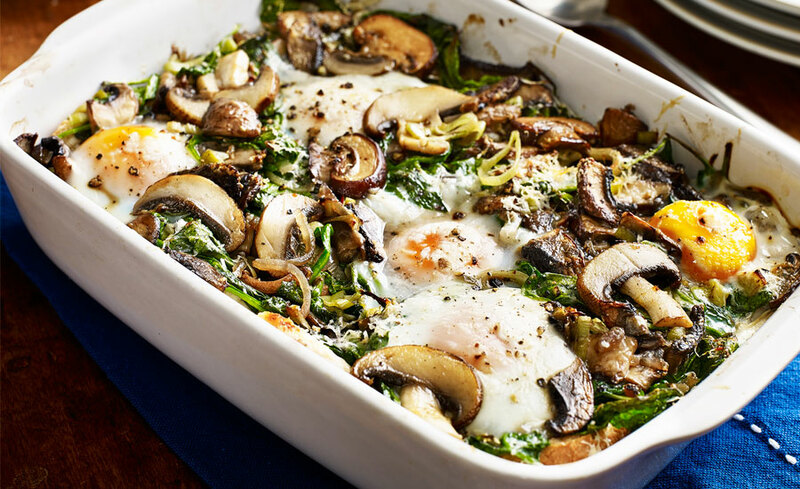 This delicious mushroom, spinach and egg breakfast bake is fast, easy and made with ingredients you probably already have in the kitchen. 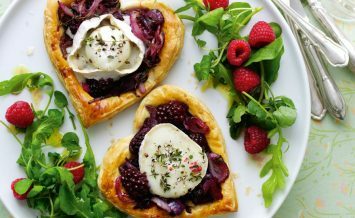 It would make a great brunch that will keep you going all day! 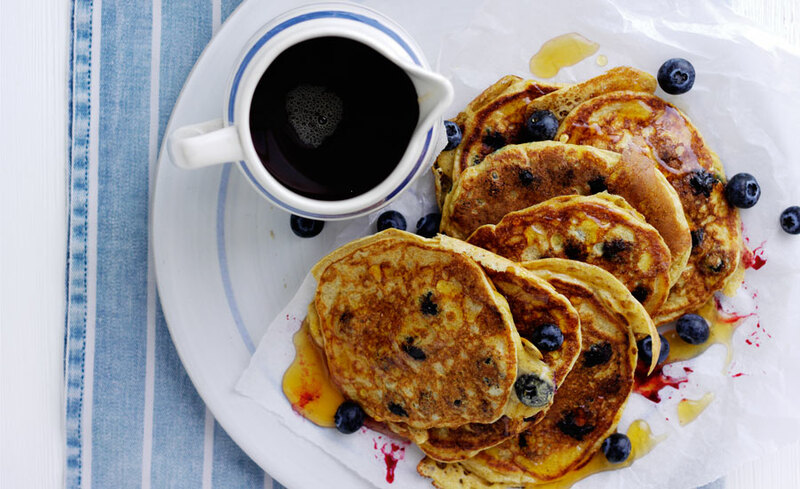 Fluffy, delicious and perfectly indulgent for the weekend, these pancakes are a spin on a classic – this gluten free recipe makes it easy for anyone on a restricted diet to enjoy a plate of pancakes just as delicious as the original.